Google is preparing to retire its Drive backup app for Mac and PC in the near future. Learn about your alternatives and how to prepare. It’s official: the rollout of the new Google Backup and Sync app has deprecated the Google Drive syncing app for PC and Mac. The app, which let users keep their files, photos and other media synced across devices, was originally launched in April of 2012. Google’s successor to Drive, Backup and Sync, was launched in March 2017 and is a completely new app with different capabilities called Drive File Stream. 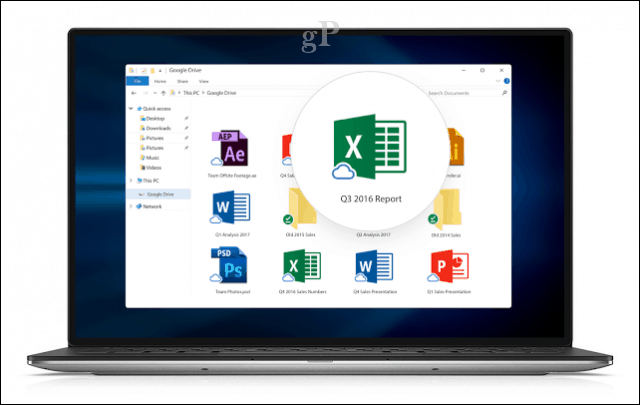 Google made the announcement in a blog post promoting the new Drive File Stream app, which provides on demand access to files similar to OneDrive On Demand. One of the much-touted benefits of Google Backup and Sync is the ability to back up anything and everything. Over time though, you are likely to use up the free 15 GBs of space offered. Users can always upgrade for additional storage, which starts at $1.99/month for 100 GB. Or you can get 1 TB For $9.99 / month. These past few months have been quite a whirlwind of announcements regarding backup and file hosting services. In late August, CrashPlan announced it was shutting down their home backup service, while Microsoft noted in a support article that a future unknown feature update will remove support for legacy backup tools such as File History and System Image. It’s a lot to take in, but it’s good to see reasonable alternatives available while the industry restructures itself. Let us know what you think and what your current backup plans and strategies are going forward. Yes, this is somewhat interesting. Given the current status of Windows it seems in many ways that the most reasonable alternative is to back data files up rather than the OS itself. I personally always require Windows default Documents and Downloads with identically-named folders on the desktop and all possible defaults set to that. NOTE THAT THIS ISN’T ALWAYS POSSIBLE AND THEREFORE SOME FILES WILL GO INTO THE OS-DEFAULT (C:/DOCUMENTS AND C:/DOWNLOADS) which means that all 4 have to be specified on a backup. I also have a third folder named “PROGRAMS” which contains desktop shortcuts which because of the isolation from the desktop proper–actually alphabetize correctly. To produce a desktop shortcut if no other way, navigate to the folder containing the exec file and right click said file then choose “Create Shortcut”; the response will be “You cannot create a shortcut here, would you like it placed on the desktop?” This has become increasingly common but is not at last report “always.” Last report; two days ago. do we have any alternative except to move to backlup and sync?. only when we move to backup and sync we shall be able to give comments. Backup and Sync is basically Google Drive, enhanced with continuous syncing and greater depth of backup options. Will there be tech support when moving from Drive to Drive File Stream app and will icon will be changed to differentiate the old from the new? Would like to see an itemized list of what to do in order to accomplish this change. Have tried for several days to get “Backup and Sync” but unable to download. Have read about multiple problems with the app.